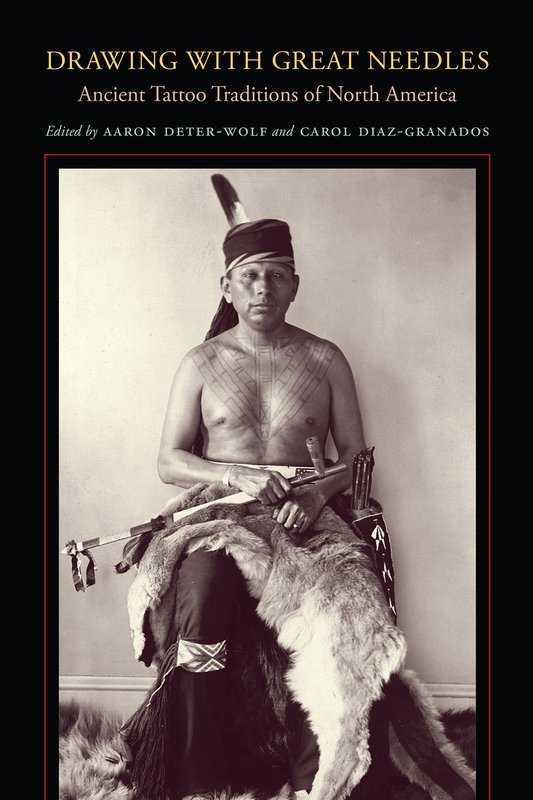 The problem was with the archaeologists not the artifacts–they couldn’t see tattooing in the historical record because people tend not to see things they don’t like or, to take a more neutral position, things with which they are personally unfamiliar. Also even when faced with unequivocal evidence of tattooing, as the editors note “the implications of tattooing were not seriously considered, and tattooed symbols were not assigned the same cultural significance as imagery inscribed on media such as pottery, shell, copper, and stone. However, new tattoo-friendly archaeologists, like those who wrote for Drawing with Great Needles, can now go back and reinvestigate artifacts in collections that were misidentified initially; in the field, they can also more readily identify probable tattoo artifacts at the moment of their uncovering. 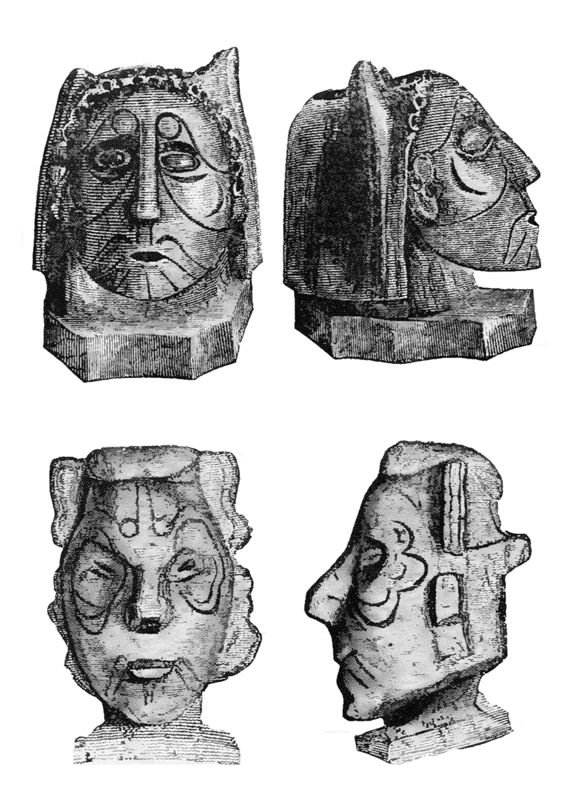 “Human effigy pipe bowls with incised facial decorations from Mound City, Ohio,” after Squier and Davis, 1848. Because of lingering stigmas tattoo archaeology still hasn’t widely caught on, thus, as with so much tattoo scholarship, the team of authors behind the essays in this book are an interdisciplinary mix of “proper” archaeologists, anthropologists, and art historians. Those of us who study tattoo history often cross disciplinary lines as the research takes us where it needs to go. The book unites traditional archaeological evidence (tools, pottery, etc.) 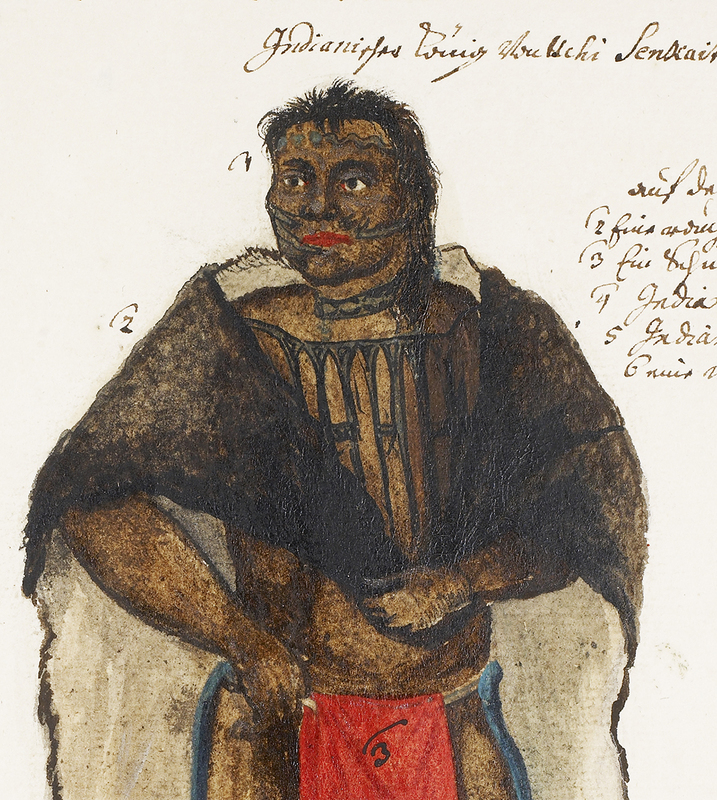 with other historical sources such as the accounts of early modern explorers who came into contact with Native American groups from the late 15th century on and early anthropologists who documented still extant Native American tattoo traditions in the late 18th and early 19th centuries. Images range from photographs of artifacts to representations by Westerners from 16th century engravings and manuscript drawings to historical photographs. 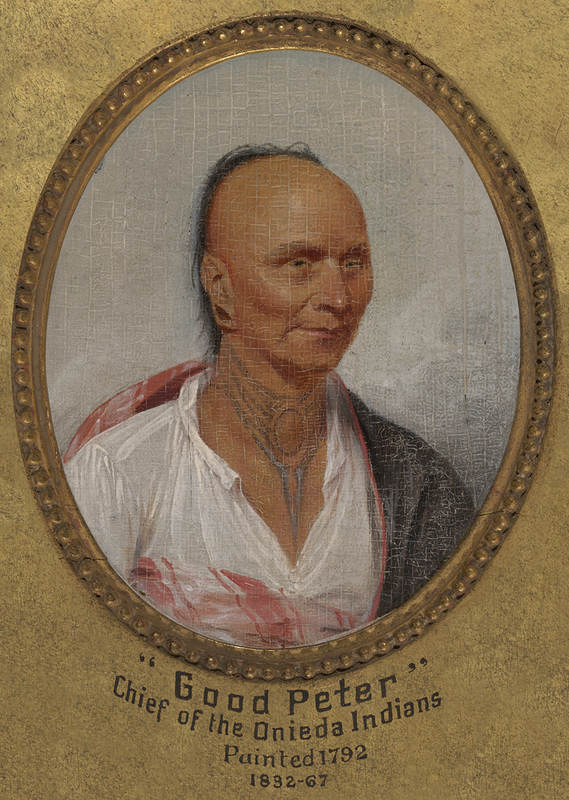 An example of tattoos documented by visiting Europeans: Yuchi chief Senkaitschi as drawn by Philip Georg Friedrich von Reck in 1736 from the Royal Library of Denmark. My only real criticism of the book is in the quality of the illustrations…as with so many academic presses, they are black and white and reproduced on regular, rough, matte page stock so the prints are muddy. (The images reposted here in this blog post in color are all in the book in black and white.) University of Texas Press, please consider putting these images up on a website or if the book goes into a second printing, add a plates section! I think most tattoo-history interested people would pay extra for that. Also, I have to mention that I got a cheap, personal thrill reading my dissertation work cited on page 18. (Although my former last name was typoed–my dissertation was written when I was still married. Typos happen to the best of us!) For a more casual take on tattoo archaeology, you can read a Q & A that I conducted with editor Aaron Deter-Wolf in Tattoo Culture Magazine #3 (which has a few other illustrations from the book reproduced in color, so check it out!). But that small criticism aside, this book is a must-have for tattoo history lovers! You can order it here.